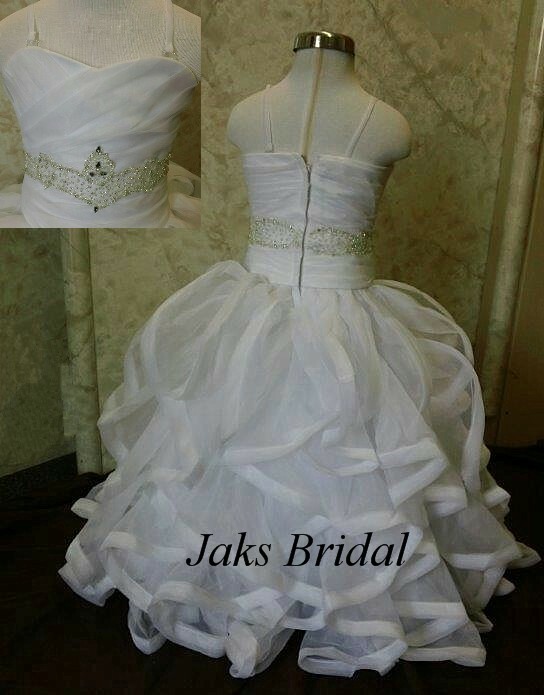 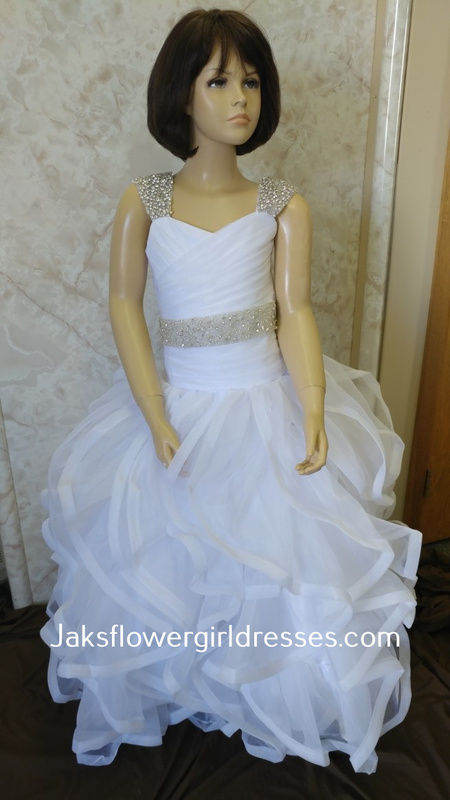 Long ball gown ruffled miniature bride dresses for your flower girl. 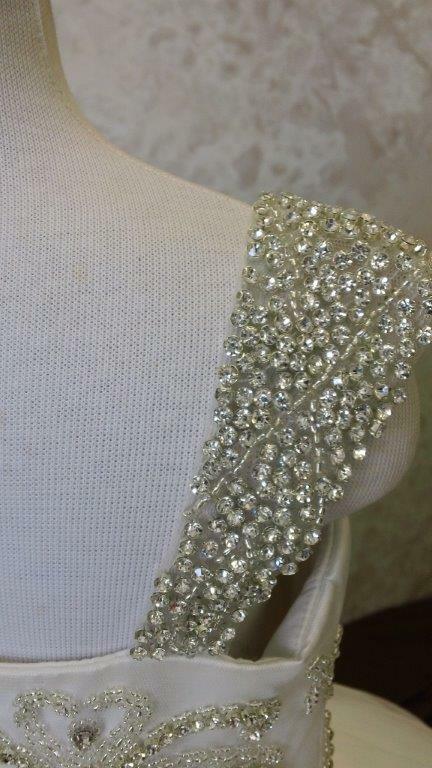 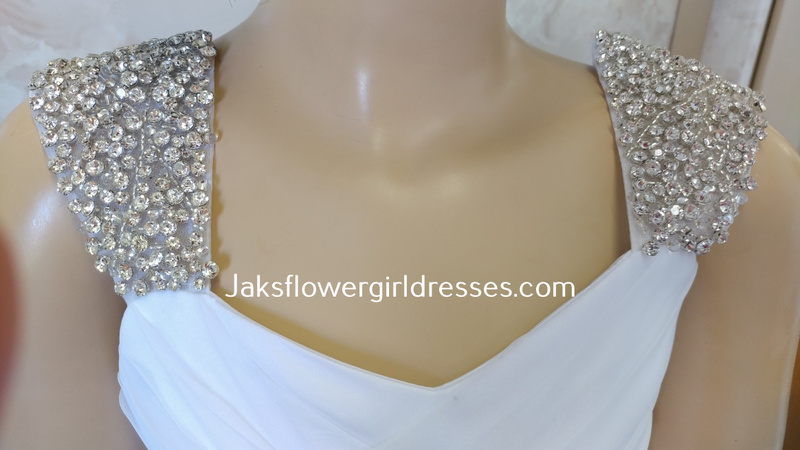 Rhinestone shoulder straps adorn this flower girl dress. 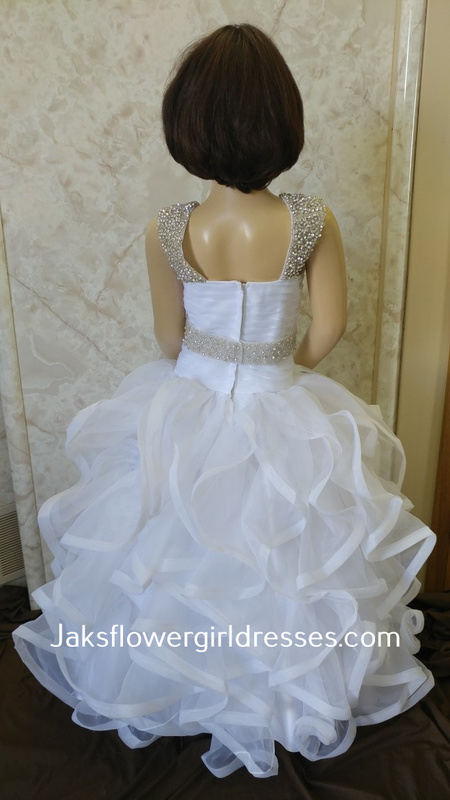 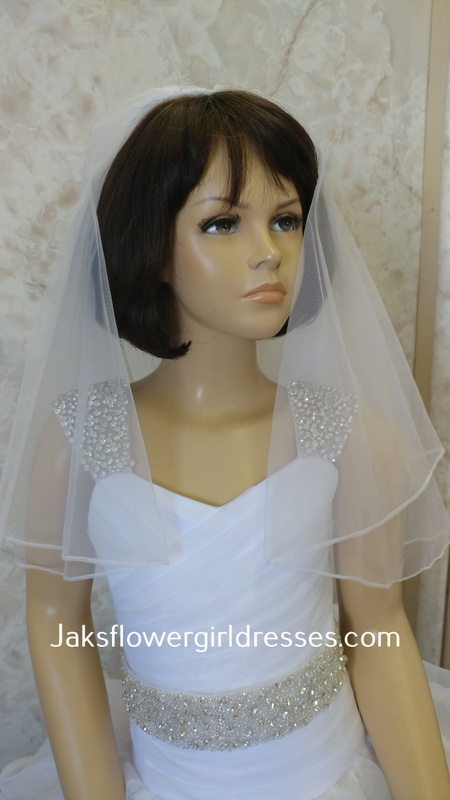 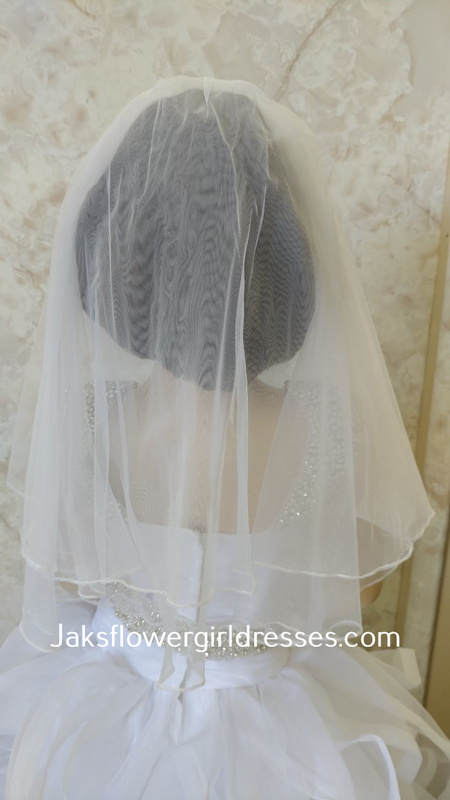 Pleated drop waist bodice is encircled with a snap on beaded bridal sash. 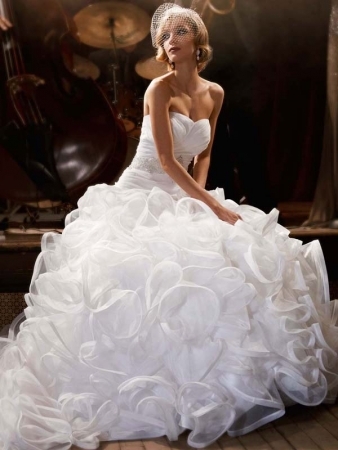 The organza ruffle ball gown skirt is adorable.